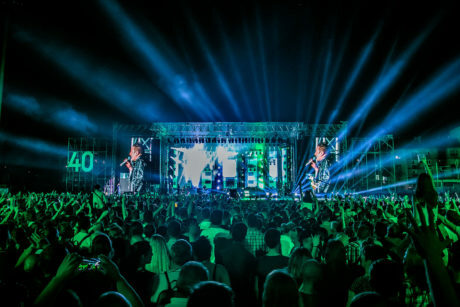 CROATIA -Legendary Croatian rock band Prljavo Kazalište ended their 40th anniversary tour with a show-stopping stadium concert at the Kranjceviceva football stadium in the heart of capital city Zagreb. 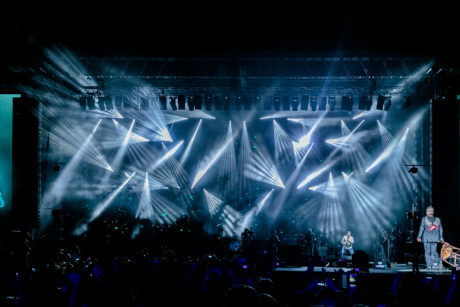 He found the MMX WashBeams – a personal favorite – again to be ideal for front key lighting which was crucial as the show was recorded in 4K for future broadcast and DVD. 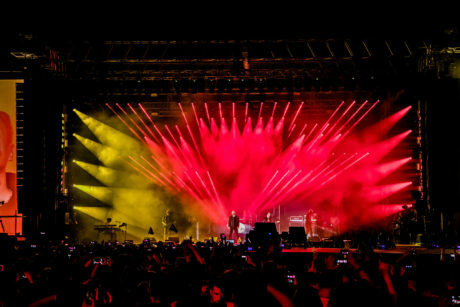 In fact, MMX WashBeams have long been his go-to choice for front lighting due to the punchy output, “the precise CMY color mixing system, the consistent zoom range and the unbeatable reliability”. The LEDWash 600+s were used for striking backlight accents and he maximized some eye-catching strobe macros. 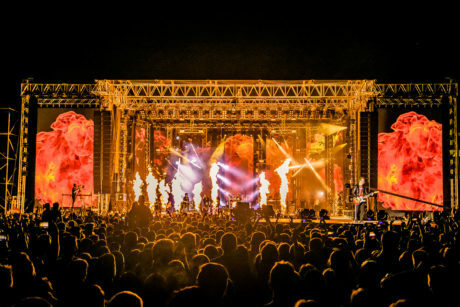 They proved so bright that they had to be pulled back to 60% most of the time, and for Sven it spoke volumes that they stood out so blatantly on a rig of around 500 fixtures plus 600 square meters of LED screen! Sven programs and operates all his own shows and used grandMA2 platform, and he pre-vized the show in WYSIWYG.